Blogs will mostly have posts on it. But in some cases, we do need to have some stand alone pages like About Us and Contact Us etc. These types of pages are a great source of information for new readers and also to let new users know about the dynamics of certain blogs. So pages and posts are essential in a blog. How Page(s) works with Blogger! 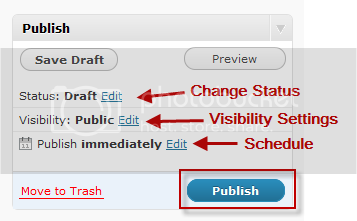 In Blogger.com you to need look up the Edit Pages option under the Posting menu in order to create pages (consider the image below for an idea). We can similarly create new pages with WordPress quite easily. Creating a post and creating new pages is very similar in Blogger.com. How Page(s) works with WordPress! WordPress dashboard provides us with a separate menu for Pages (see image below). Click on Add New option under Pages Menu. Just like we create content in a post, we can also upload images,videos and media in a page. We can Publish a page or save it as a draft. Changing the date for publishing allows us to schedule the page to be published sometime in the future (See image below). 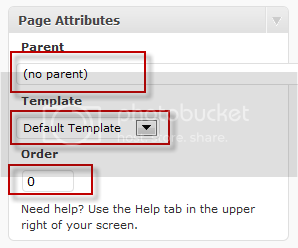 We can assign any parent page and also templates for page if the WordPress theme supports it. Pages are usually displayed alphabetically in navigation but you can change the order of pages by using the order field. These options are up to the end user’s preferences. We can also allow comments as well as “trackbacks and pingbacks” for pages. We can change Author of the page. Scroll down along the page and you will get two options Discussion and Author as seen in the image below. So, as like Blogger.com, we can easily create and manage static pages on WordPress also. But the main advantage of pages in WordPress over Blogger.com is, in Blogger.com usually there is a restriction of creating only 10 static pages whereas with WordPress the options are literally unlimited. WordPress unlike Blogger.com can also be used for static portals instead on of only blogs. We hope you got an idea about the WordPress pages in this post. Until the next post of the “Be a Blogger Series”, I wish you all a very Happy New Year 2013! The clarity on your submit is simply excellent and i can think you’re a professional in this subject. Well together with your permission let me to grab your feed to stay updated with imminent post. Thank you a million and please continue the enjoyable work.